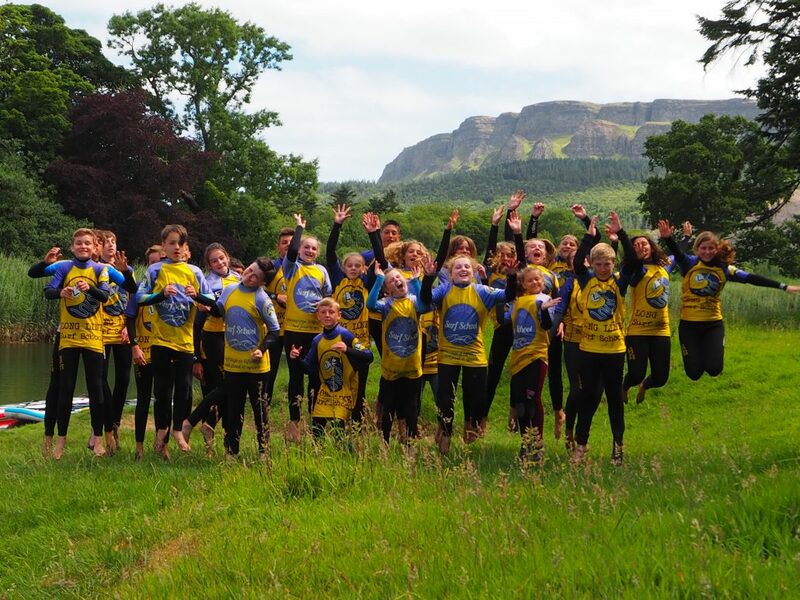 International Summer Surf Camp 2019 has now been launched and open to local children. We are back again for a fifth year with phenomenal success over the past number of summer surf camps. Our activity programme, run by Long Line Surf School takes the form of a beach camp. This year the camp will run in July from Mondays-Fridays from 10.00h-16.30h. Activities will include surfing, SUP, giant adventures, surf lifesaving, wild swimming, Dragon boarding and beach games. Our summer camp is a 5 mile micro adventure. Children can see the potential of a small area which we all get to call home. Here they will be challenged to experience as many adventures and activities as they possibly can within 5 miles of Benone. This camp will provide, fun, excitement, education and be of all create friendship. If you would like to send your own son or daughter to camp this year then we would ask you to host one of our visitors from Spain or France. Staying with a host family allows our visitors a true integration experience. If you would like to participate then you should be able to host a visitor for 2 weeks between the 1st – 28th July. If you would like to join in Summer Camp this year but not host a visitor, everyone is welcome. The price is £170pp for 5 full days of activities. Age Restriction: 12 years – 16 years old. Above all this is a great way to do something different this summer, keep the kids occupied and make new international friends! Maybe even learn some French or Spanish too! Please contact Judi as soon as possible for more information.